Sawatdee, it’s how you greet people in Thai language. 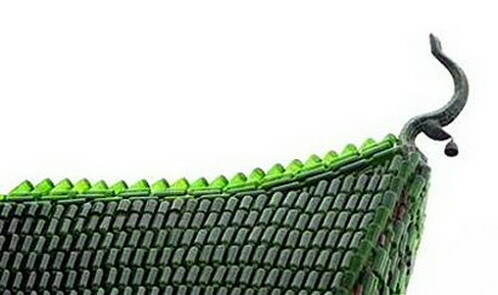 In Thailand there are a temple built by 1.5 million of glass bottle. 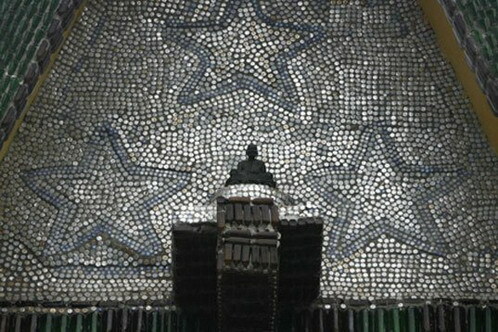 Many people recycle old glass bottle by selling them, built gorgeous work of art but the monks built a temple out of it. Known as Wat Pa Maha Chedi Kaew is located in Thailand’s Sisaket province, about 600 km northeast of Bangkok. 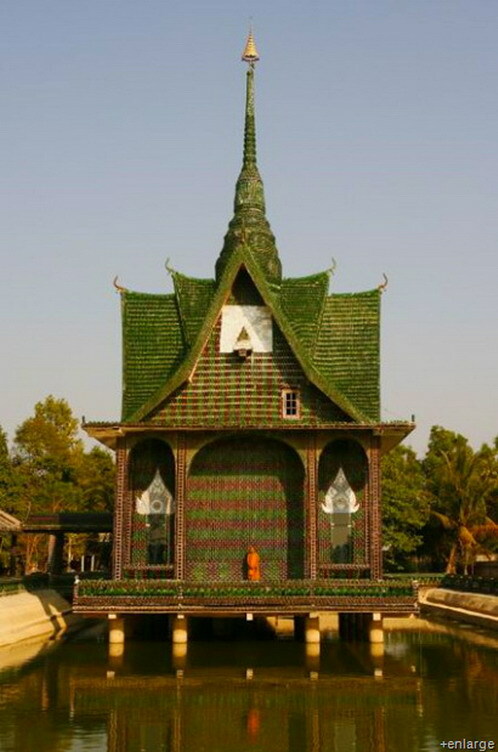 The bottle-collection-turned-building started in 1984, when the monks used them to decorate their shelters. 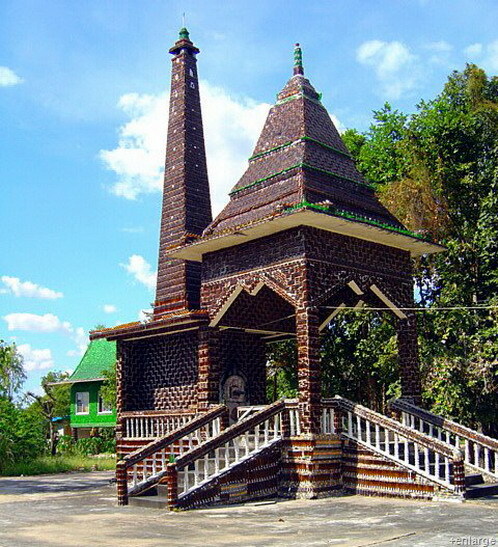 The shiny building material attracted more people to donate more bottles, until eventually they had enough to build the temple standing today. 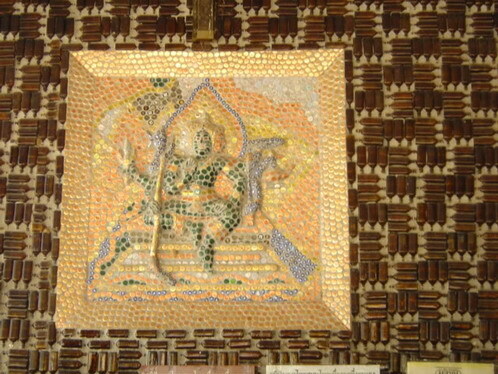 Bottle caps are also integrated as decorative mosaic murals. Going beyond use of glass as a sustainable building material, the bottle bricks don’t fade, let natural light into the space and are surprisingly easy to maintain. Today almost the whole temple is building from a bottle from the outside of the temple, to the surrounding shelters, from the toilets, to the crematorium. The main bottle they are using to build this is Heineken and local famous beer Chang bottle. Is it not easy task to build from a glass bottle, consider the glass is a fragile and dangerous material. Even harder task is finding these 1.5 million of glass bottle, wouldn’t make it without bottle donation and contributor. So if you’re looking to find Nirvana in a bottle, you might want to consider making a stop at the Wat Pa Maha Chedi Kaew Temple. This temple also have a local Thai nickname “Wat Lan Kuat” (Temple of million temple). You can experienced by yourself if you ever visit there because beside the bottle shelter is build for the monk itself, there are shelter that is provided for visitor & tourist too. 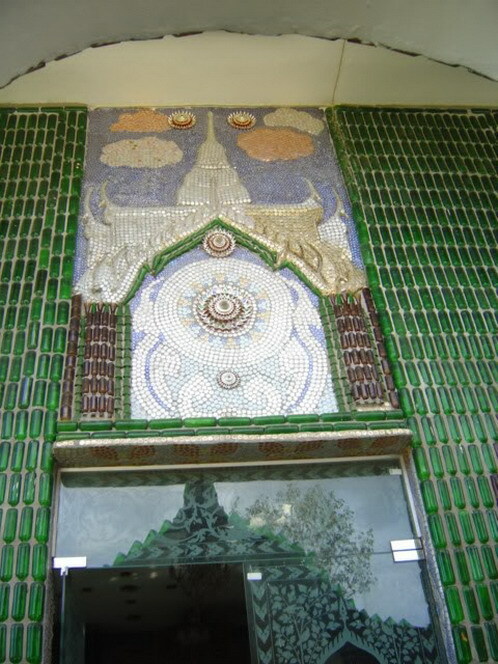 Even the cap of a glass bottle isn’t spare to make a such beautiful decorative wall tiles and bottle are use as a roof too. This entry was posted on Friday, November 27th, 2009 at 4:58 pm	and is filed under Interesting Stuff, Wonderful Things. You can leave a response, or trackback from your own site.